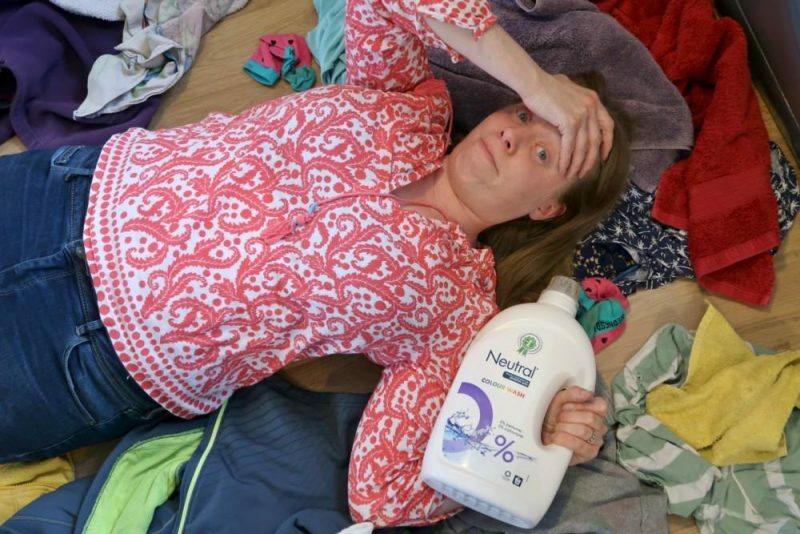 Hands up who HATES doing laundry?! Washing clothes is just not a fun thing for most of us and putting them away is even worse. But laundry day (maybe that should be week, it’s never ending!) can be even more stressful for those of us with sensitive skin or allergies. 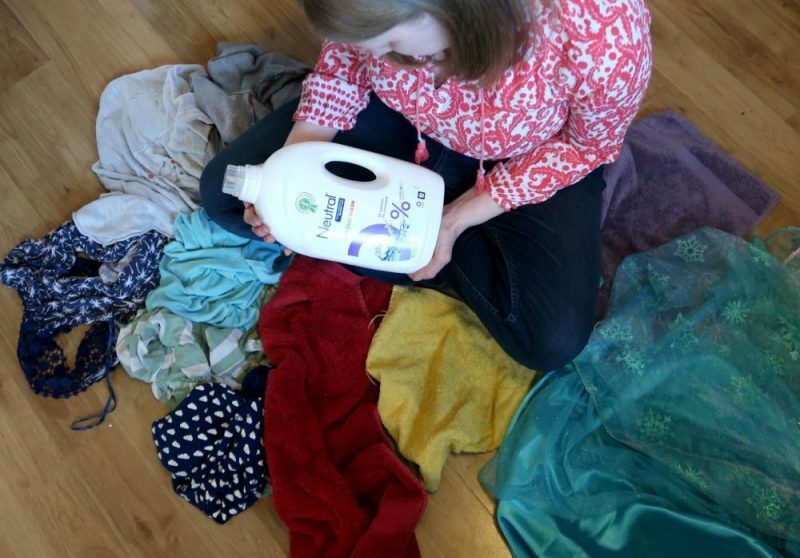 I’ve tried a variety of different laundry detergents, some with more success than others, checking if they are compatible with my sensitive skin. The problem for me is that certain ingredients in laundry detergents can make my skin itchy, crack and bleed. Not the easiest when you are a parent! 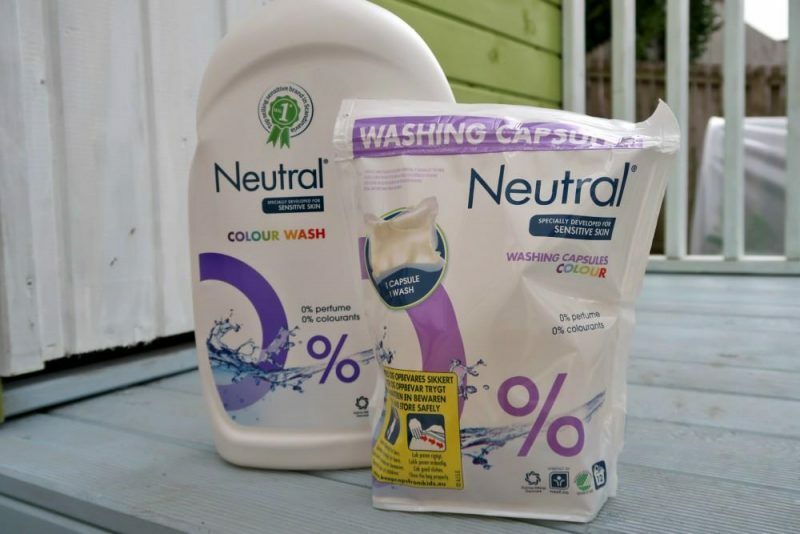 We were contacted by Neutral 0% to review their laundry detergent and I have to say that I am impressed. Their detergents have 0% perfumes, 0% colourants, hypoallergenic and dermatalogically tested. That’s a lot of credentials! They have even be accredited the Allergy UK Seal of Approval so you know that it’s going to be good for people who have sensitive skin or skin allergies. 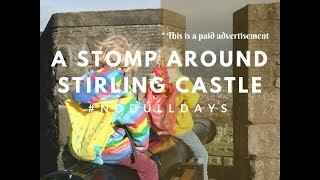 My children are very boisterous and prone to getting themselves covered in paint, chocolate and mud, so it’s also good to know that their clothes can be thoroughly cleaned without additional chemicals that could irritate skin. 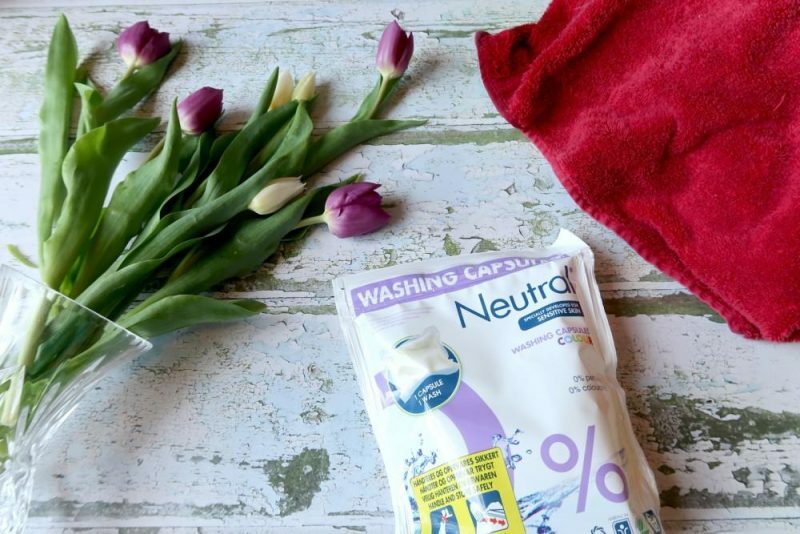 Even our towels are feeling ultra soft, although they are mostly used for spills at the moment! Paper airplanes have become a staple in our house and it’s surprising what damage can be done with them. Hmmm! It’s no surprise that I hate doing laundry, I feel like all I do is just skim the top of the laundry basket. It’s never ending! With home educating my children and work there seems little time in the day to relax, so I don’t generally feel like washing the clothes. But of course it has to be done and when it does I feel a little nervous of getting detergent on my hands and my eczema flaring up. 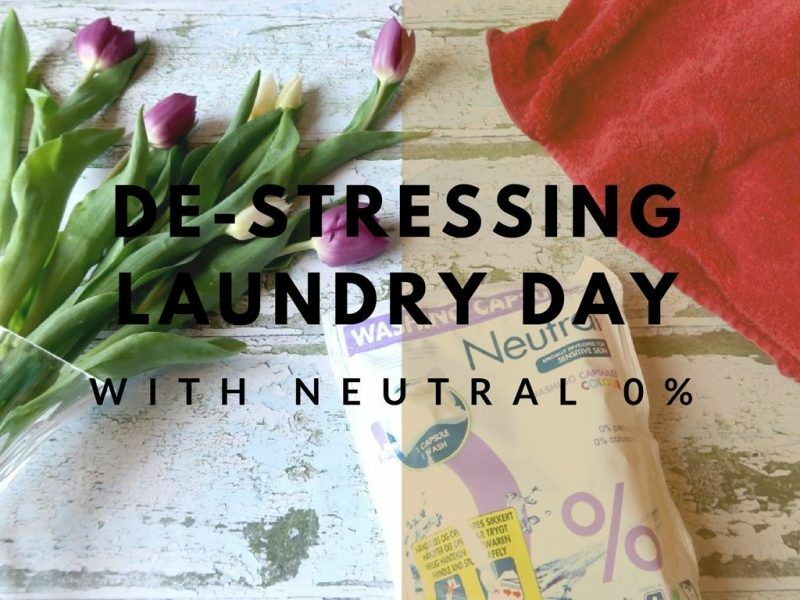 However, since using Neutral 0% I haven’t needed to worry about a little detergent spilling onto my hands as the product is made for sensitive skin like my own. So much less stress for me and more chance of me getting the laundry done without moaning. Well I say ‘more chance’, I’m still not that enthusiastic about laundry! 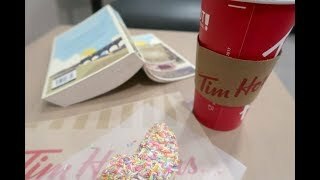 * I have been compensated for this blog post, however all opinions and aversions to laundry are my own.